You have a plan to get to that healthy place you long to be, but you’re just not getting the results you want. You realize it’s going to take an act of the will to make the hard choices that will change the way you feel and live for the better. Bestselling author Stan Toler provides the quick, to-the-point motivation you need for those moments you’re tempted to give in and those days you struggle to make progress toward your personal goals. You’ll find great tips for maintaining a healthier lifestyle, served with a side of humor and grace to keep your heart satisfied. Fill your mind with encouragement first thing in the morning, right before a meal, or in the midst of your midnight-snack cravings—and stay on track for losing weight and enjoying a revitalized life. Stan Toler has spoken in over 90 countries and written over 100 books with sales of more than 3 million copies. Toler for many years served as vice president and instructor for INJOY, John C. Maxwell’s institute for training leaders to make a difference in the world. "It seems that I have been on a diet all my life. In fact, I have been on every diet from the North Beach to the South Beach and discovered that I like the North Beach better because you can eat anything you want on that diet! All that said, I know better and I've tried to share on each page how to discipline one's life to overcome bad eating habits and to plan for good fitness in order to lose weight in a healthy manner. 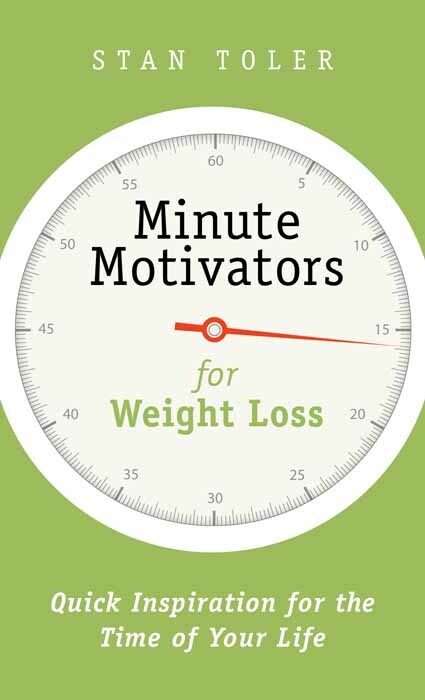 On many occasions as you read the book you will find yourself laughing out loud at the quotes and suggestions for weight loss. Enjoy!"